Using free, open-source software to identify the perp and the help of some Twitter friends, one man was able to reclaim his stolen MacBook fromthousands of miles away. Sean Power, a Canadian tech consultant and author, recently had his MacBook stolen along with some other valuables in his bag, including his birth certificate and cell phone. Using a free piece of software, Sean was able to track down his belongings and organize their safe return with the help of a bunch of friends on Twitter… and we can tell you how to do the same if it happens to you. Sean got his MacBook stolen in Brooklyn, New York, but was able to organize its recovery from thousands of miles away in Canada thanks to a free piece of software called Prey. 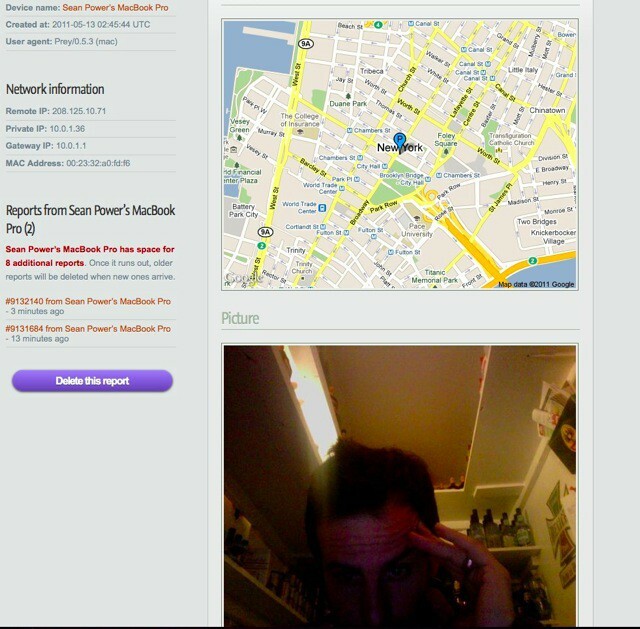 With the application installed on his machine prior to its disappearance, Sean was able to track its whereabouts and receive reports that featured photographs of the person using it, as well as screenshots of their activity. Sean revealed to his followers that, as well as his 17-inch MacBook Pro, his bag included his birth certificate, short-form birth certificate, health card, cell phone and some cash. As he continued to keep his followers updated – posting the photos of the person using his machine, their name, and eventually their location – Sean’s friends began to help out. One lady went to visit the cocktail bar in NYC where Sean’s MacBook appeared to be. Others did some research and found that the gentleman using the laptop actually co-owned the bar. Though, it’s worth noting out at this point that its user may not have been the thief, and that the machine could have been purchased innocently. With the user’s name and location, Sean decided to call the cops and ask for help. Because he hadn’t previously filed a report regarding the theft of his MacBook, the Police refused to help; forcing Sean and his friends to take matters into their own hands. Sean continued to keep his followers updated on the reports he was receiving from Prey and one of his friends, Nick Reese, decided to play cop and stepped in to help. Nick went to the bar and spent a lot of time chatting to its owner, Paolo, who in the end freely gave up Sean’s MacBook. This story is a fantastic example of how modern technology can make such a difference in a stuation many of us wouldn’t even consider. While some might argue that the Police should have dealt with the issue when Sean called them, with a huge social network and a great piece of software, Sean and his friends were able to recover the machine themselves; and that’s not something we could have done 10 years ago. We often hear stories at Cult of Mac about people who use Apple’s Find My iPhone service to recover their stolen iOS devices, but it’s not often we hear the same story about laptops. To read the full story, along with all of the tweets and photos Sean posted during the recovery, check out Brandon Ballenger’s post over on Storify. But before that, go and download Prey – it’s completely free and it may be incredibly useful in the future. 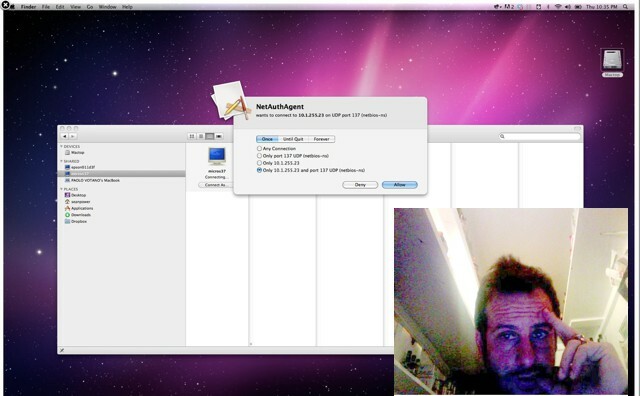 This might just be the software that gets you your cherished MacBook back.